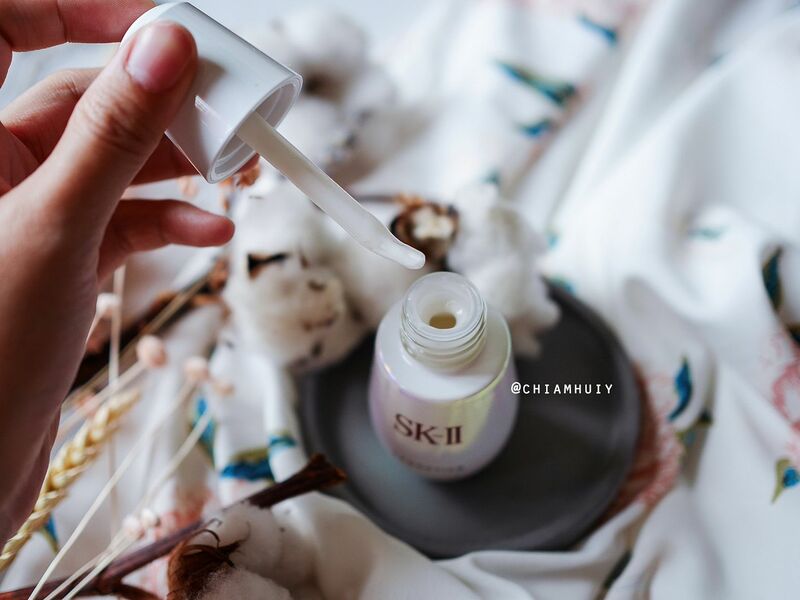 The moment we hear the word SK-II, the first few things that come straight into our minds are probably the Facial Treatment Essence, or the star ingredient –Pitera. 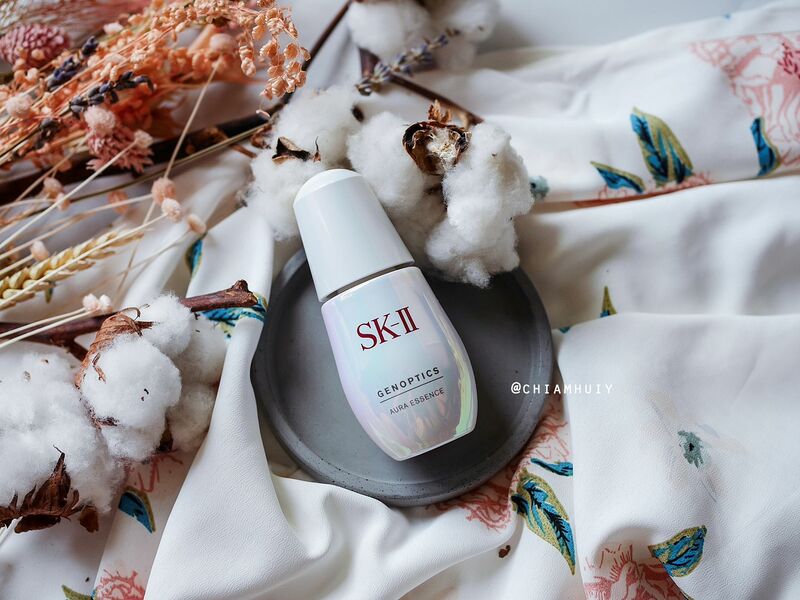 Pitera has many benefits like preventing dark spots, so it’s no surprise that when we think of SK-II, it’s mostly about SK-II’s crystal clear skin - a successful result many ladies and even celebrities vouch for. 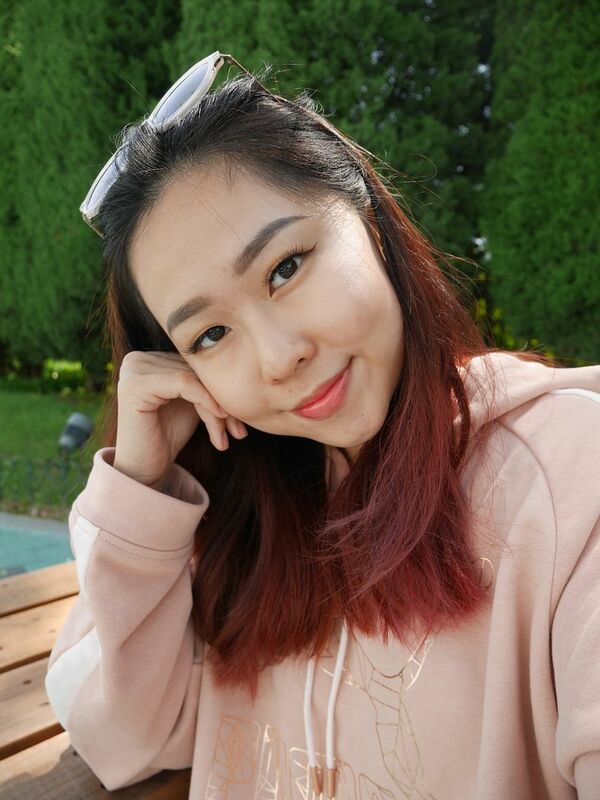 It’s pretty much a known phenomenon that most Asians love to have fair, porcelain-like and flawless skin, don't we all agree? I too, wanted to have flawless looking skin without the help of makeup. 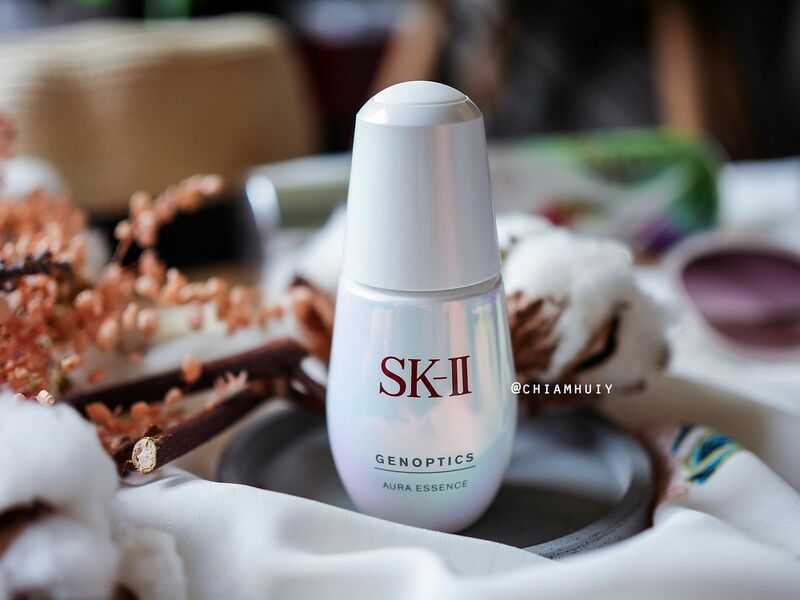 So I started using the SK-II GenOptics Aura Essence religiously after it was sent to me for review, I mean, who doesn't want to find out if SK-II really works? So here’s the results on me after 2 weeks of using it. 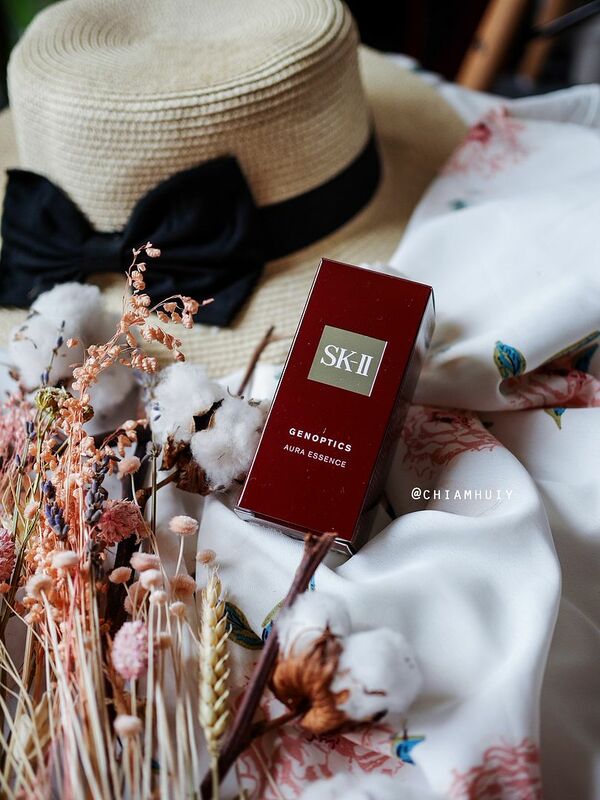 The SK-II GenOptics Aura Essence in its iconic maroon SK-II packaging. Comes with the seal of protection to ensure your product wasn't tampered before you got it. SK-II GenOptics Aura Essence is suggested to be used after the Facial Treatment Essence (FTE). 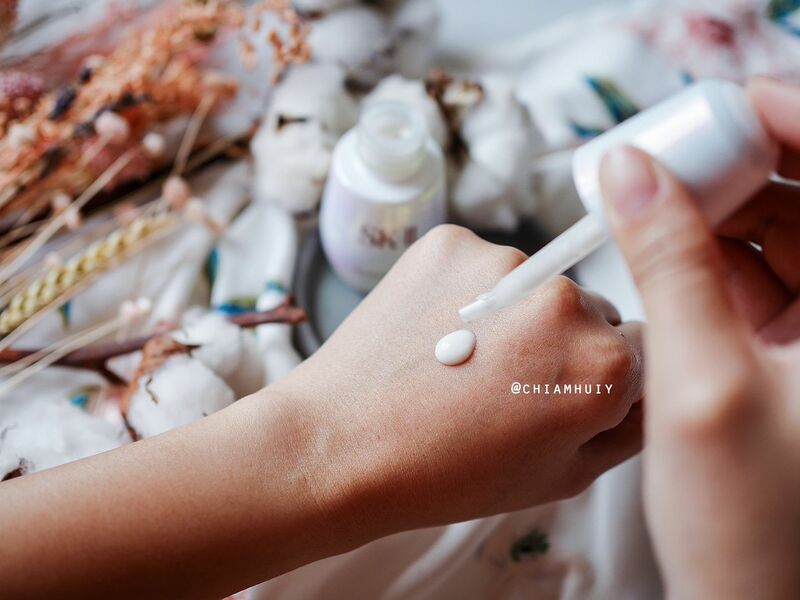 This is largely because we commonly sequence our skincare regime with product of the lightest texture. 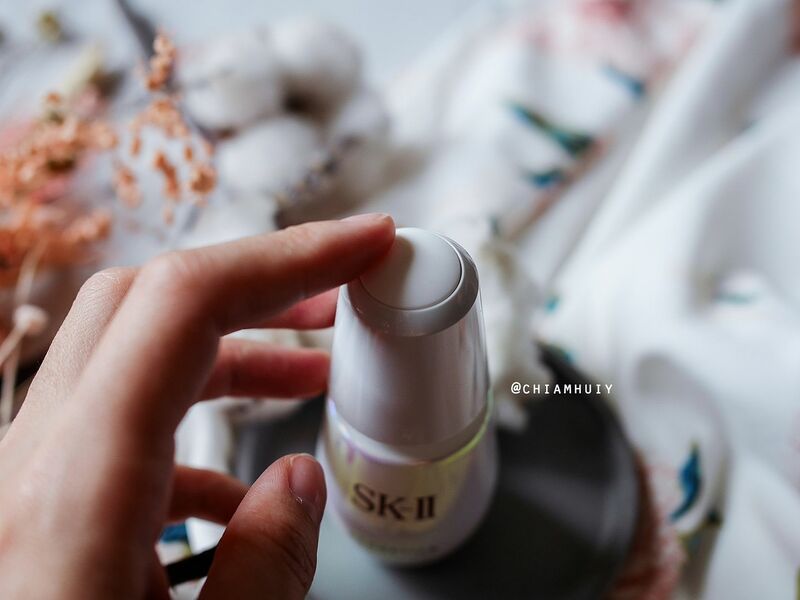 This way, skincare can be absorbed and sealed in with the help of moisturiser during the last step; the SK-II whitening cream is one good example. GenOptics Aura Essence has a white milky texture unlike the watery texture of FTE. Nonetheless, both are engineered with SK-II's iconic ingredient - Pitera. In case you have not watched the video of how a little girl discovered the smooth hands of a granny, Pitera is the key ingredient in the sake's fermentation process, which contributes to elderly workers' youthful hands despite their age and wrinkled face. 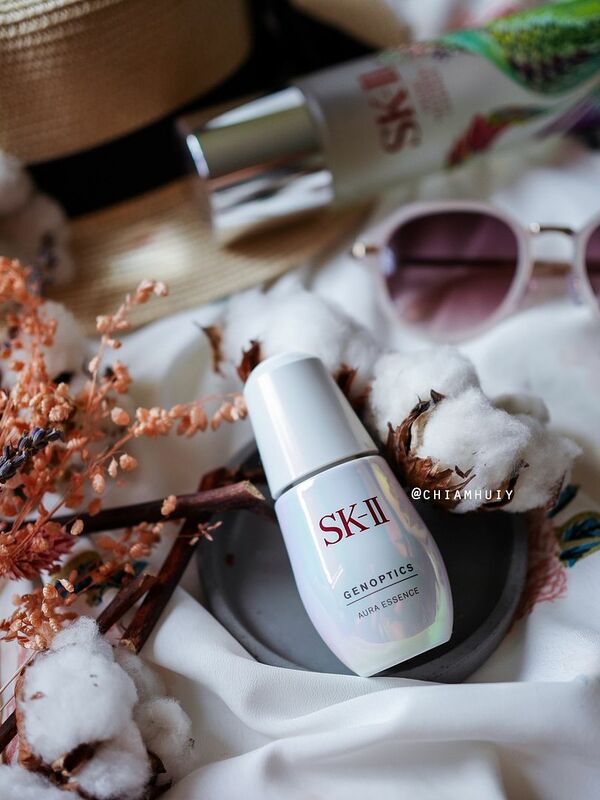 SK-II GenOptics Aura Essence ingredients include a fusion of Prunus extract, Pitera (obviously), and Ume extract, on top of the whitening agent Demelano P3C. 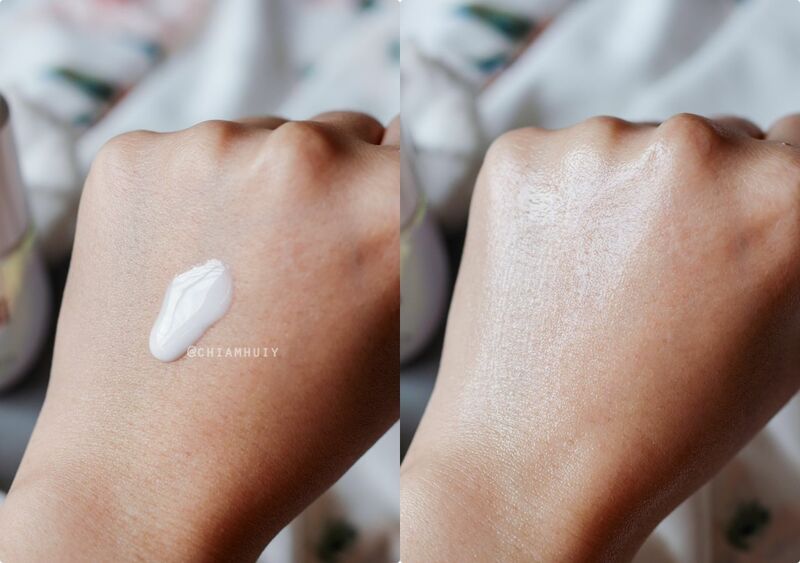 While I don’t know much about these ingredients, they are said to tackle spots and patches on skin to avoid skin clouds before they start surfacing. Skin clouds are generally signs of "cloudy" complexion, a result of UV exposure. When the skin gets damaged, skin clouds are formed before dark spots start appearing. I've also learnt some interesting fact about three common types of skin clouds - brownish ones for hidden spots, grayish ones for pigmentation (due to melanin) and reddish ones for dull skin tone. 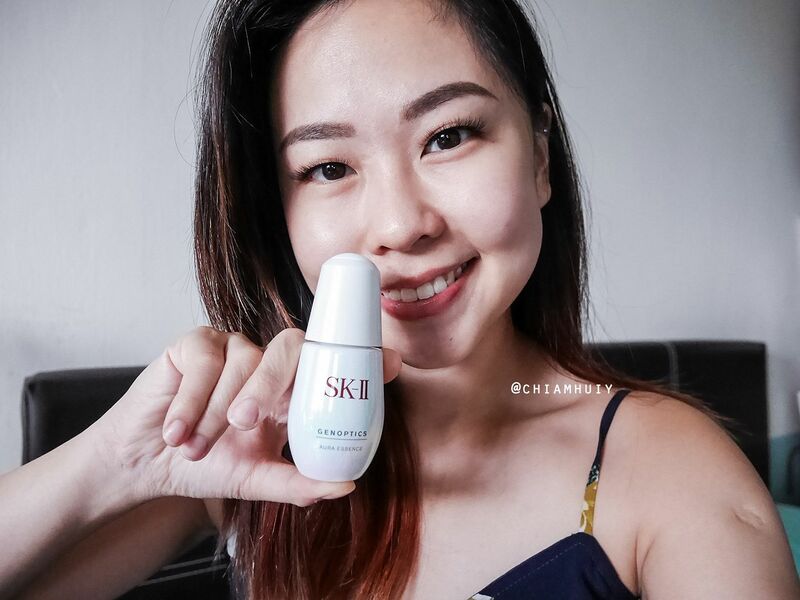 How to use SK-II GenOptics Aura Essence? The bottle comes with a specially designed auto-fill dropper. This really amazes me because unlike any other dropper bottles, I do not have to press and retrieve the product without knowing how much to use. Instead, it fills automatically when closed and I just have to press and one optimal full drop comes out. 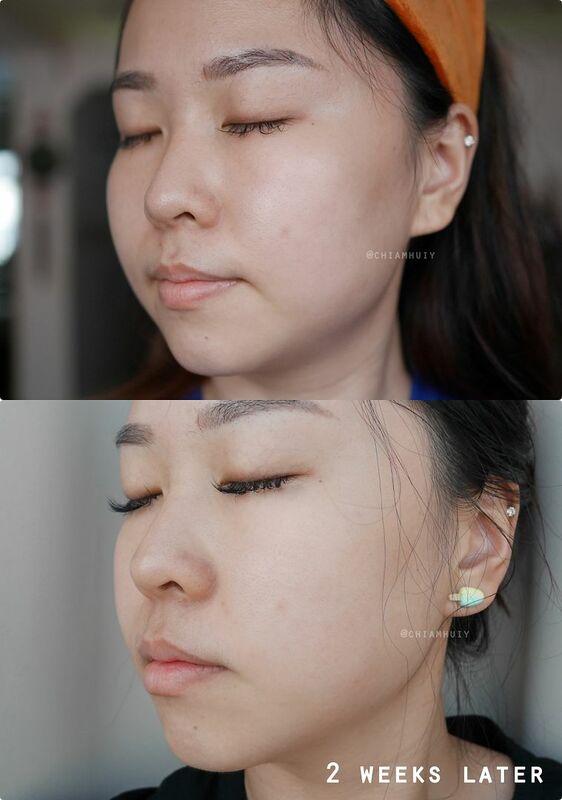 How do I feel after using SK-II GenOptics Aura Essence for more than a month? Recently, I noticed my skin has been rather sensitive. Small little bumps can easily form on my forehead and cheeks if I use a product that is too rich. While I may not have acne-plagued skin, I do see this as a sign of sensitive skin. So if you're wondering does SK-II cause acne, surely not for me. My skin has been receptive towards this new addition to my skincare regime. In fact, SK-II GenOptics Aura Essence has ingredients that are great for reducing acne scars. The GenOptics Aura Essence's milk texture gets absorbed so incredibly fast. However it does feel a little tacky after being absorbed, but personally I am ok with it. 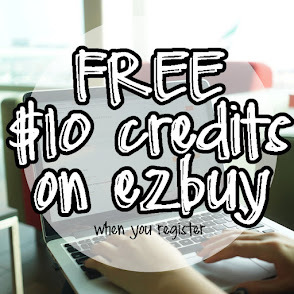 After using the essence for more than 2 weeks, and looking at my before and after photos, I do find my complexion becoming brighter and certain acne marks fading off easier. And this is me with completely no photo edits. In this picture, I did not do heavy make up base such as liquid foundation. 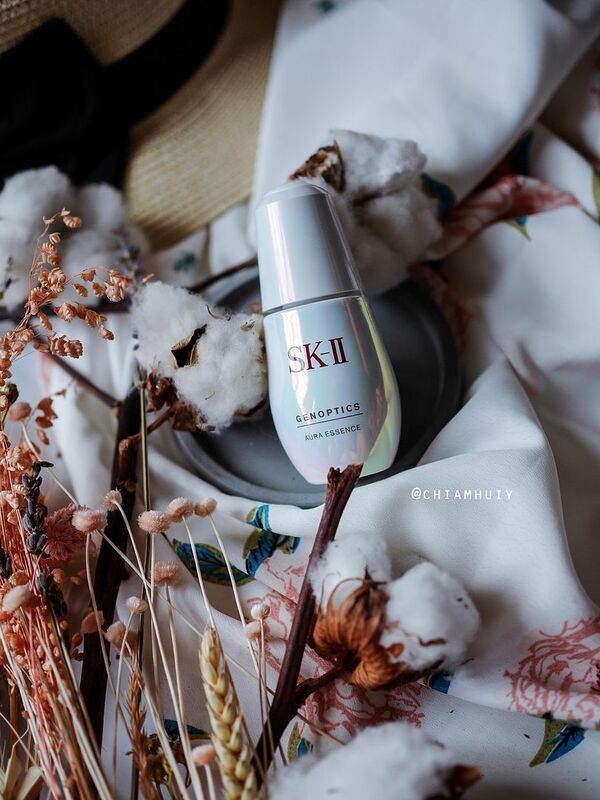 If you been wondering whether SK-II truly works, or whether the SK-II GenOptics Aura Essence does the job for your skin, how about trying it out yourself? since seeing is believing! 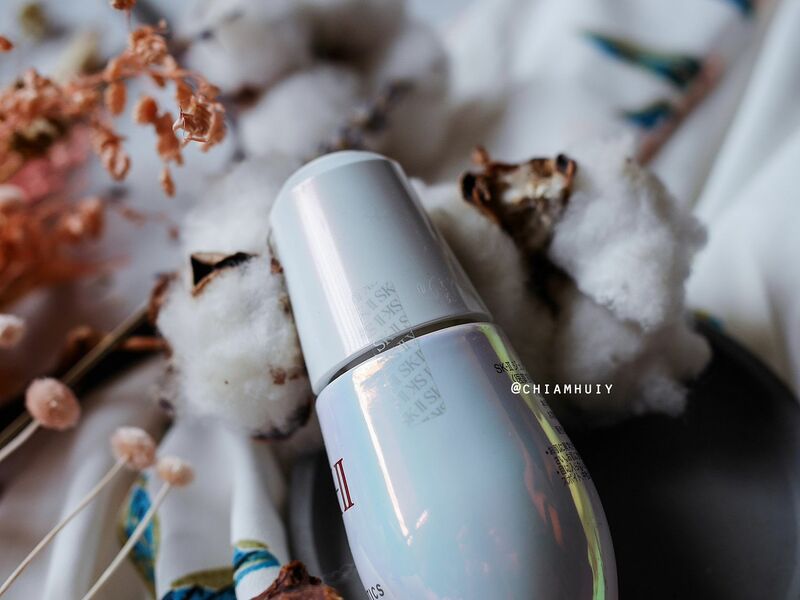 Ever since I started using the GenOptics Aura Essence, I can say I’m a convert and I wouldn’t mind the investment for my skin in the long run. SK-II GenOptics Aura Essence is widely available across Singapore at SK-II boutiques and counters. Otherwise, it can also be found at SK-II Duty Free shops. It is retailing at SGD199 (30ml) and SGD299 (50ml).